All the Work Has Been Done—Over $500,000 in Upgrades! Come and experience the natural park-like splendor that surrounds this lovely, completely remodeled Long Grove home. Meticulous attention has been paid to every detail, both inside and out. Enjoy scenic views of the lush professionally landscaped yard and Buffalo Creek conservancy from the four-season sunroom, deck, balcony and two patios. Inside in this Long Grove home for sale you will find gleaming hardwood floors of beautiful quarter-sawn white oak that add to the warmth and luster of this home. Dreaming of the perfect kitchen? This home has it all—a chef’s delight with top-of-the-line appliances—Miele, Viking and Sub-Zero. Don’t overlook the Sub-Zero refrigerator drawers or the Franke stainless steel prep sink built into the center island and the oversized Dacor warming drawer next to the double ovens. Brazilian granite countertops and buffet and rich quarter-sawn oak furniture grade cabinetry make this kitchen a breeze for everyday cooking as well as special occasion entertaining. The cozy den, next to a spacious family room, has a stainless bar sink, Viking wine refrigerator and two-sided fireplace. It’s the perfect place to lounge on a Sunday afternoon. Upstairs you’ll find the resort-like, private Master Suite. This enormous space with a gas-log fireplace, two sets of French doors, a luxurious Master Bath with oversized shower, Kohler water tiles and air-jet tub is truly a retreat from the busy world. Exquisite custom-made quarter-sawn oak mirrors, granite countertops, heated Ann Sacks limestone floor and custom leaded glass door complete the peaceful ambiance of the suite. On the lowest level is the gigantic basement with wood-burning fireplace, gorgeous built-in bookshelves and cabinet and a separate area with refrigerator, desk , more cabinet space and a place for a home gym. *Professional kitchen: Sub-Zero refrigerator/freezer, Sub-Zero refrigerator drawers, Viking cooktop, Dacor convection ovens, Miele dishwasher, Corian island top workspace, Brazilian granite countertops, Ann Sacks backsplash tile, lighted furniture-grade cabinets, Abbaka, Swedish-made copper hood. *Handmade Motawi Arts and Crafts tiles in Master Bath and Master Bedroom fireplace surround. You must see this immaculate home at to appreciate all the quality workmanship and care inside and out. 1511 Sumter in Long Grove is masterpiece worth living in—a bit of country within minutes of convenient shopping, transportation and top-rated Long Grove schools! Call or text Long Grove Realtor, Judy Greenberg at 847-602-5435 for your own private showing of this spectacular home in Long Grove. 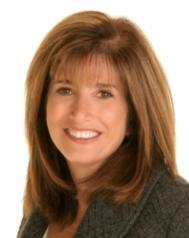 You can also visit her website at www.buffalogroveareahomes.com for additional Long Grove homes for sale!